Low cost LIBs are necessary for the global EV and energy storage products to become truly affordable to the average consumer, business, or utility. The only means to substantially lower LIB cost is via new higher capacity battery materials that greatly improve LIB energy density, cycle life, and faster charge/ discharge characteristics and can be seamlessly implemented. Graphite has traditionally been the LIB anode of choice for commercial use today. Silicon-based LIB anodes are particularly attractive because of they have the highest theoretical specific capacity of 4,200 mAh/g (ca. Li4.4Si). While silicon alone can absorb lithium better than any battery anode material, it has not shown to be stable and breaks down after only a few charge/discharge cycles. 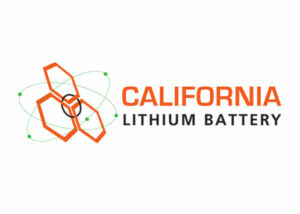 The CalBattery Solution: Use the ANL si-graphene process to stabilize the silicon for extended cycle use in LIBs. When silicon is embedded into graphene nano-platelets using the ANL process, graphenes’ strength and elasticity allows it to absorb the expansion of silicon during battery cycling, making this the first and only commercially viable means of utilizing silicon anodes in most any LIB.